New Home at 1408 Mason Lane, Edmond OK - 3 beds. 2.50 baths. 2953 sq.ft. This Urban Farmhouse by Ripple Creek Homes has what your looking for. Beautiful wooded lot. Too many items to list! This home offers a dining space, study, three downstairs bedrooms, along with cozy tv/family area upstair. This home has an amazing open concept. Kitchen has large island, stainless steel appliances and walk-in pantry. Beautiful owner's suite spa bath with oversized tile and walk-in shower. Owners suite closet has easy access to laundry. Mud bench as you enter from the garage has cool, shiplap detail. Hidden Creek is located just one mile east of I-35 on Danforth and Air Depot. Award winning Edmond schools! 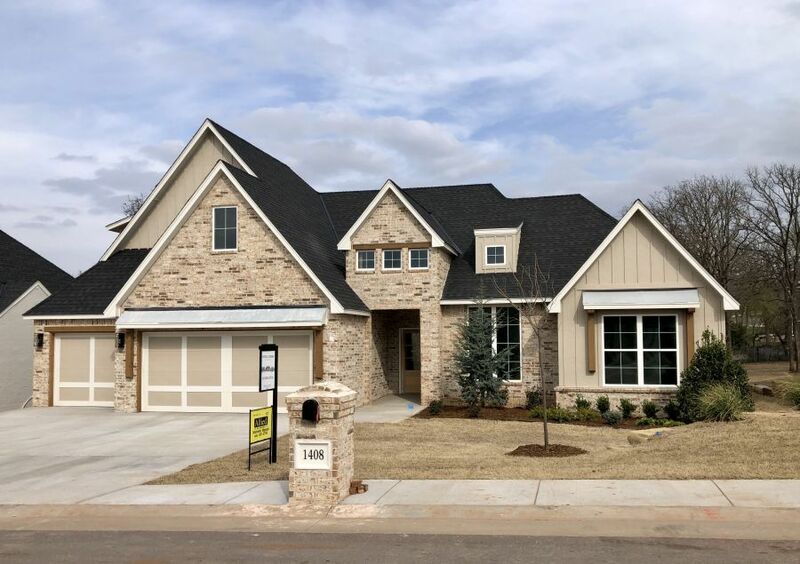 Builder: Paul Harris at 405-834-9324 or contact us through the “Ask The Builder” link for more information.